Sheep’s milk comes primarily from the central and northern regions of the country, such as Castilla-León, Castilla-La Mancha, the Basque country, and Navarre. Sheep’s milk is mainly used to make cured cheeses. This is a tangy sharp cheese from the province of Zamora, in the Northwestern area of the Castilla-Leon region. This area is known for high-quality sheep production. It has a crumbly texture and a flavor similar to mild aged cheddar. The rind is moldy and grayish and the cheese has small holes or none at all. A snow-white moist, lightly-salted, fresh cheese from the province of Burgos, in Northern Spain. It is generally made with sheep’s milk but can be made from cow’s milk, as well. It is not a fatty cheese since it is made from partially skimmed milk and has a very mild flavor. Since it is a fresh cheese, not cured, it is made to be eaten soon after being made. Mixed with honey and nuts, or dried fruit, it becomes a fabulous dessert. It can also be mixed in salads or used in making cheesecakes. This is probably the most famous Spanish cheese and has its own Denomination of Origin. The Denomination of Origin is located in the center of the Peninsula, in the Castilla-La Mancha region. According to the regulations of the denomination, the cheese must be made from the milk of Manchego sheep, Entrefino breed. It is piquant, buttery and has a nutty flavor as well. It is soft and crumbly in texture. Manchego is the definitive Spanish cheese. Serve with Serrano ham on a slice of fresh French bread for a treat! A hard cheese from the Roncal Valley, near the French border, in the region of Navarra. 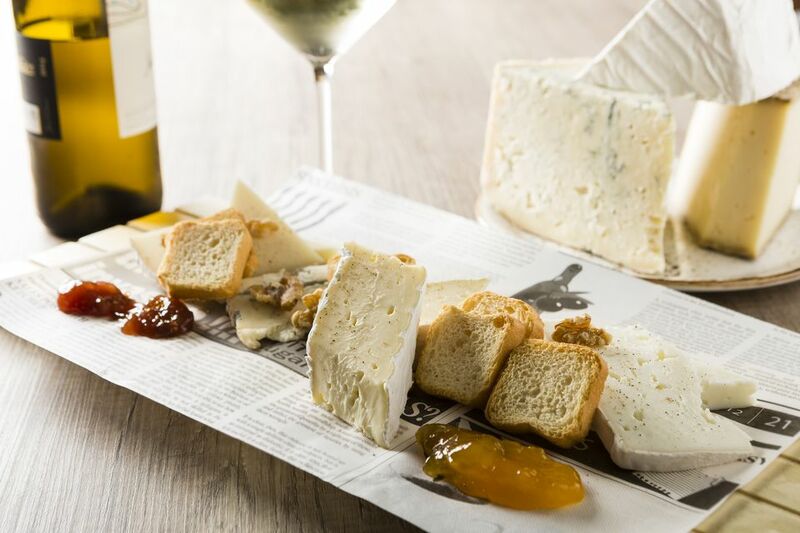 It was the first cheese in Spain to receive a Denomination of Origin. It is used in lots of different vegetable dishes; grated, shaved or sliced paper thin. It is ivory in color, is compact, has a thick rind, and has no holes. Roncal is a cured cheese that has a sharp, tangy flavor and is very firm and crumbles when cut. A Basque hard cheese made from the milk of the long-haired Lacha sheep. It is made from unpasteurized sheep’s milk and is generally cured at least 2 months, but not more than 6 months. It can be smoked but does not have to be. It is sharp, acidic and somewhat salty in flavor. Although the town no longer exists, the name of this cheese comes from the town Idiazábal, where the cheeses were taken to market.